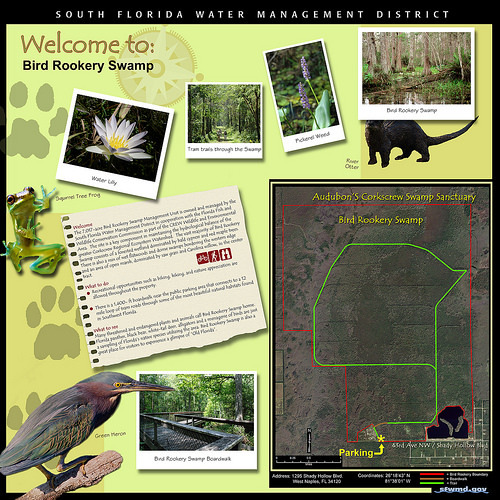 The Bird Rookery Swamp Trail officially opened in July 2011. The Bird Rookery Swamp Trail offers 12 miles of hiking and biking trails, including a 1500-ft. boardwalk with wheelchair accessibility. A 1/4-mile crushed shell path leads to a 1500-ft. boardwalk, then the trails become ground level, sandy/grassy, relatively flat berms with swamp on both sides. The trails are actually old tram roads used when the area was logged many years ago. Biking can be a challenge on the grassy/sandy trails, but quite rewarding. 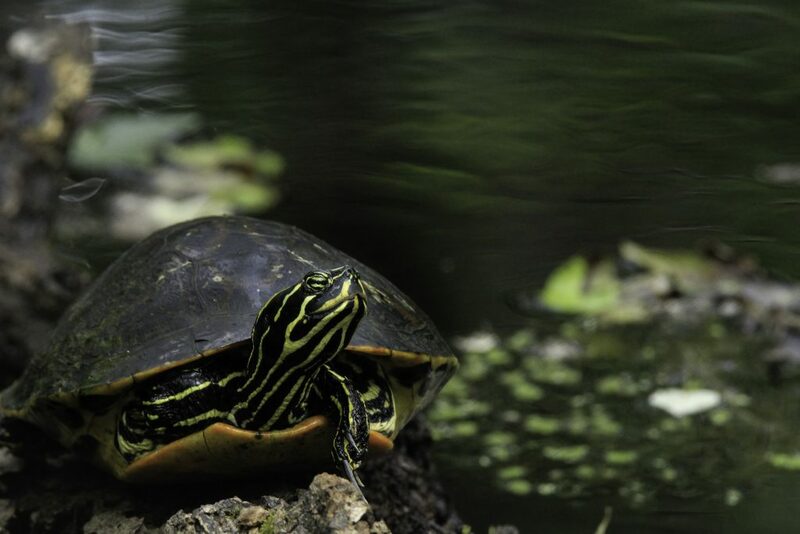 The maple-cypress swamp is home to alligators, otters, Florida panthers, bobcats, white-tailed deer and more. There is one portable toilet at the beginning of the boardwalk and several benches along the trail within the first 1.5 miles. Beyond that there are no structures. Birders will delight in the abundance of songbirds that frequent the cypress trees along the boardwalk, as well as the many raptors and wading birds found along the trails. Barred owls are common and swallow-tailed kites frequent the area in summer. Caution- The walking of dogs and pets along this trail is NOT recommended due to the presence of alligators. From Immokalee: Travel west (toward Naples) on CR 846 (Immokalee Road) for approx. 16.5 miles. Turn right on Shady Hollow Blvd. Travel 2.4 miles north to parking area/gate. Go back to the Visit CREW page. 18 Responses to "Bird Rookery Swamp Trail"